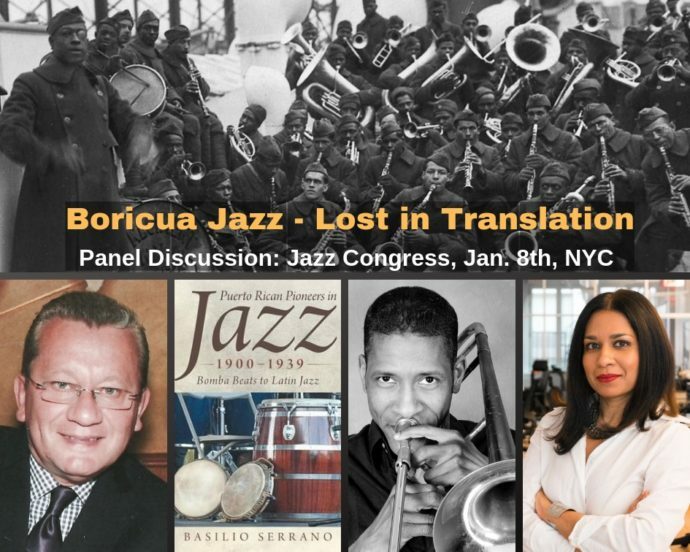 On Tuesday, January 8, 2018 I moderated a historic panel discussion titled Boricua Pioneers: Lost in Translation at the 2019 Jazz Congress. The panel’s highlighted the contributions of Puerto Ricans to North American jazz. Also, it advocated for a new narrative that portrays Puerto Rican musicians as outstanding innovators whose contributions extended and transformed the language of jazz. Panelists included the Professor, Author, and Historian Basilio Serrano; 4- time Grammy nominee and the creator of Afro-Rican Jazz, William Cepeda and Chamber Music America’s Jazz Program Director Gargi Shindé. 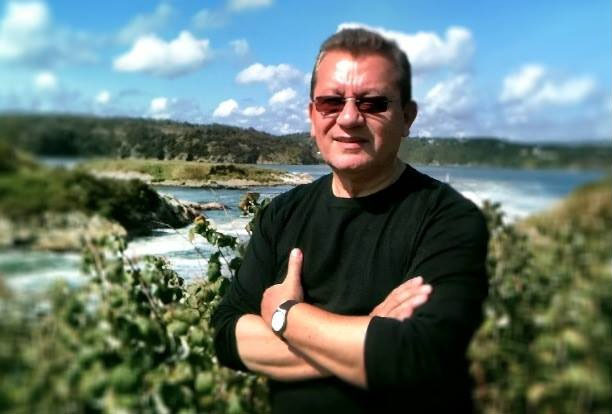 The author of two books on the subject, Serrano spoke about the contributions of Puerto Ricans to early jazz (1900-1939), including James Reese Europe’s Harlem Hellfighters, a Black and Puerto Rican regiment whose military band introduced jazz to France in 1918. Also, the valve trombonist, composer, arranger and progenitor of Latin jazz, Juan Tizol and the vocalist, violinist Angelina Rivera, who shared the stage and recorded with the vocalist, Josephine Baker and the first “woman of color” to record a “hot” (improvised) violin solo. Boricua Pioneer, multi-instrumentalist, composer, arranger and activist, William Cepeda spoke about his life, career and the creation of Afro-Rican Jazz. Also, the impact of Hurricane Maria on his life and career and the current state of Puerto Rico’s music scene. Gargi Shindé edified the audience on the intricacies of network creation, empowering Puerto Rican artists, venues and institutions on the island and in the States; grants and funding opportunities, sharing resources and educating funding organizations. The discussion was followed by a lively Q&A and an open invitation to scholars, journalists, researchers, and historians to join the panelists in advocating for a more accurate and inclusive narrative that reflects the bi-cultural sophistication of Puerto Ricans. I am happy to report the Jazz Congress organizing team has invited us to bring our ideas and talents to the 2020 Jazz Congress. Also, the bassist Carlos Henriquez expressed a desire to create a presentation that shines a light on the contributions of Puerto Ricans to jazz. Boricua Pioneers: Lost in Translation is the first of many panel discussions to come! Excellent panel that deserved to have been streamed on line and then available for viewing on demand like many other of the Jazz Congress panels. i was so pleased to have been in the audience. Agreed. Good seeing you. Thank you for your support.